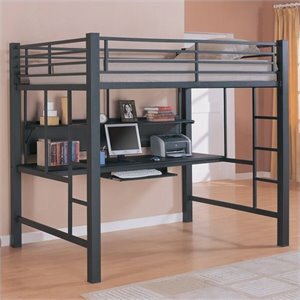 A loft bunk bed is a great solution for any small space. 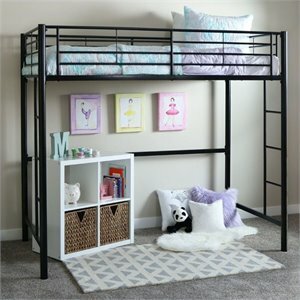 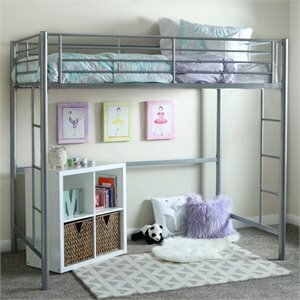 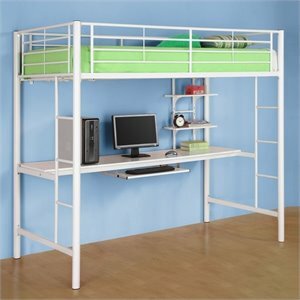 Use a loft bunk bed in your child's bedroom or try one out in your studio apartment. 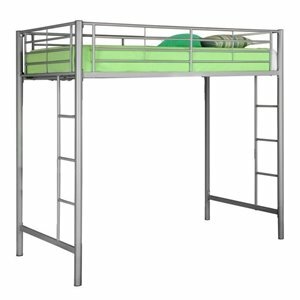 A loft bunk bed allows you to have a sleeping space and frees up the floor space below. 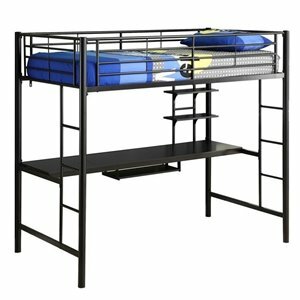 Loft bunk beds tend to not have an extra bed below. 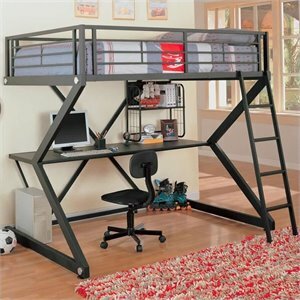 Instead, look for loft bunk beds with a built-in desk or sofa. 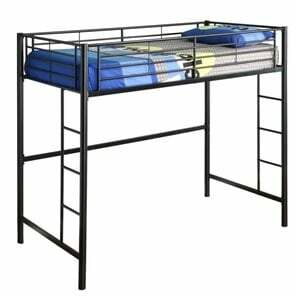 Or go for a truly multifunctional model. 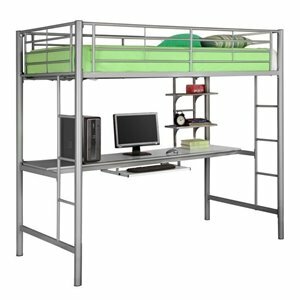 Some loft bunk beds have two beds in addition to a built in desk for maximum flexibility. 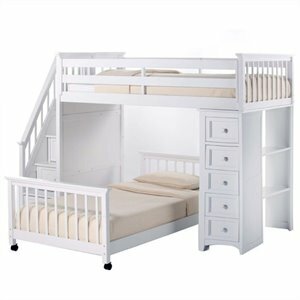 Take your pick from a number of different functions and designs to create the right space for you. 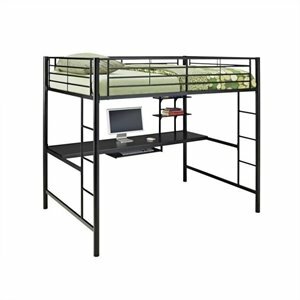 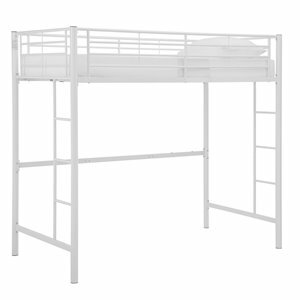 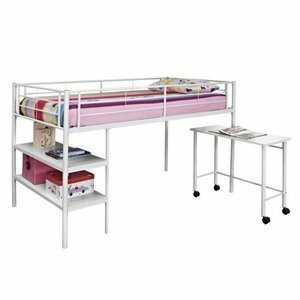 Create a study area for your busy student with a loft bunk bed with built in desk. 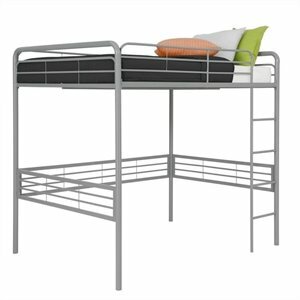 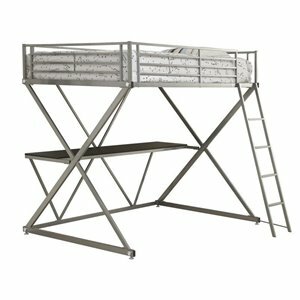 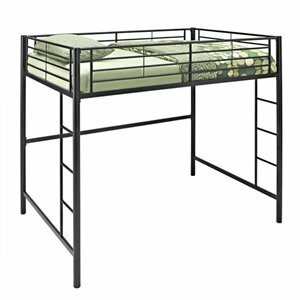 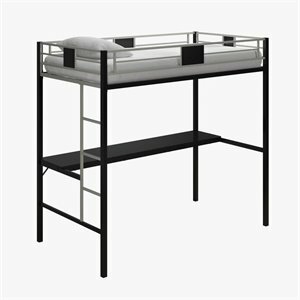 A sleek and contemporary metal loft bunk bed is just the right choice for the small urban apartment. 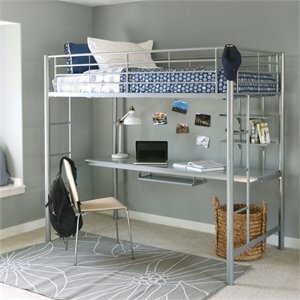 The built-in desk below offers the perfect spot to get some work done. 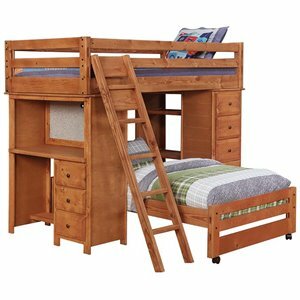 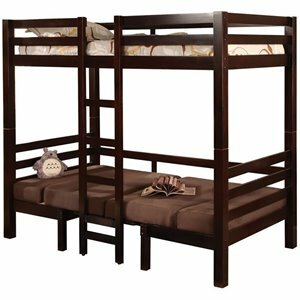 A twin over full loft bunk bed in a wood finish is a great choice for the child who has frequent sleepovers (with friends or siblings). 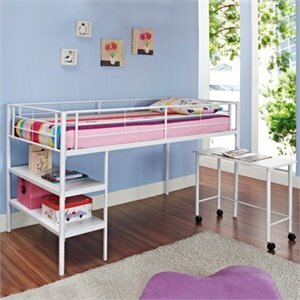 Or go for a unit with built-in storage drawers and a small cozy play space—perfect for a young child. 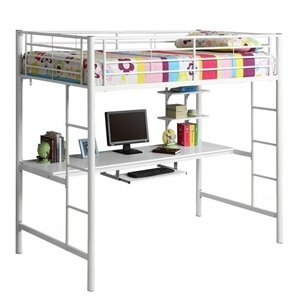 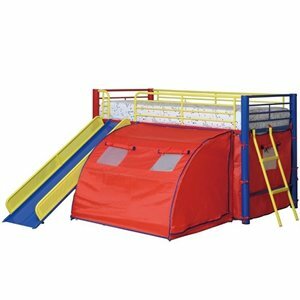 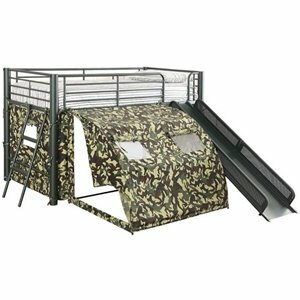 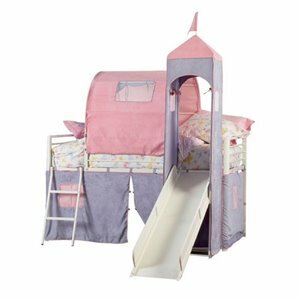 If you are worried about young children safely accessing the upper bed, choose a loft bunk bed with a built-in staircase. 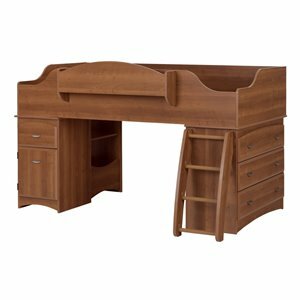 A few designs have storage drawers built into the steps so that you can forgo the dresser. 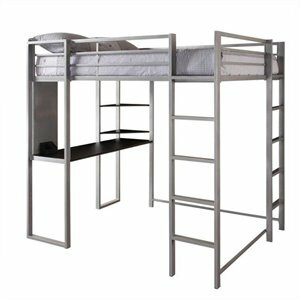 Those living in a loft or studio apartment will appreciate a loft bunk bed. 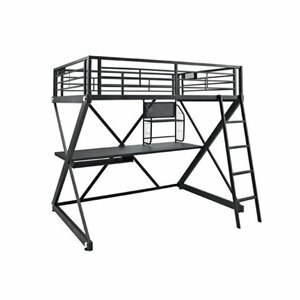 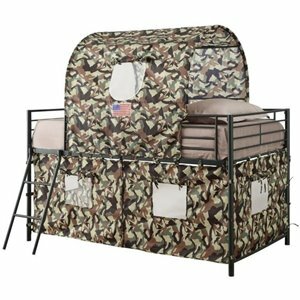 Many models are designed primarily to raise the bed off of the ground. 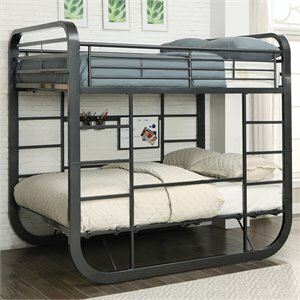 It's up to you to decide what you want to do with the space beneath. 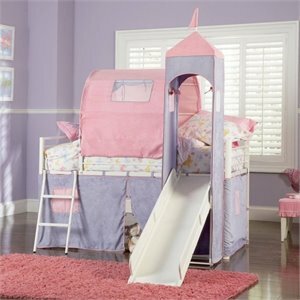 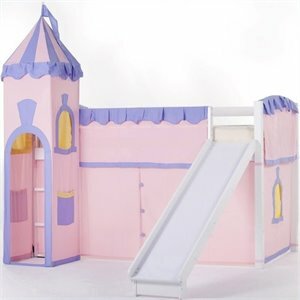 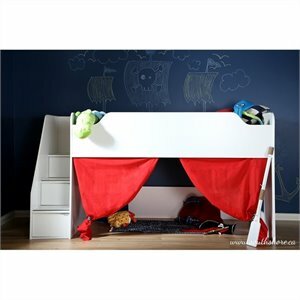 Slide a sofa underneath to create a conversation area or simply use it for extra play space in your child's bedroom. 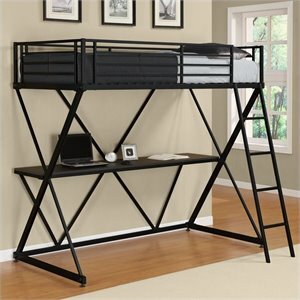 Cymax is a leading online retailer in the home and office furniture world. 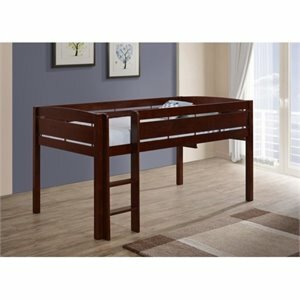 We carry the best brand names in home furniture from trusted suppliers like South Shore and Coaster. 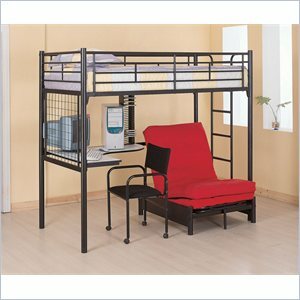 Cymax works hard to bring you every day low prices. 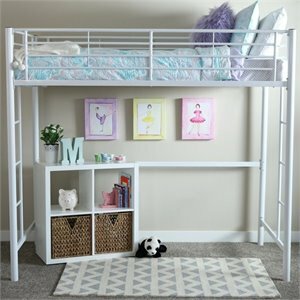 We also throw in free shipping on most items and no sales tax (some restrictions apply) to sweeten up an already sweet deal. 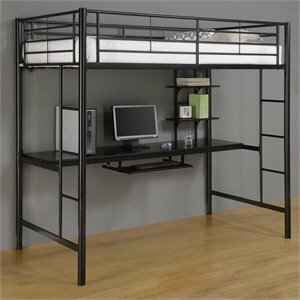 Take a look around our incredible inventory of deals and find the best deal for your space today.